Living in Richmond, CA you will find hiking trails, bay trails, urban shopping, and delicious tacos. Richmond is located north of El Cerrito and stretches from the 580 freeway and the bay out past Hilltop and the 80 freeway, and touches the base of Wildcat Canyon. 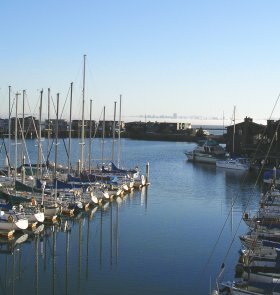 Richmond is one of the larger cities in the East Bay and is made up of many smaller communities, some of which include Point Richmond, Marina Bay, Richmond Annex, Richmond View, Hilltop, and North and East. Homes in Richmond are cheaper than its surrounding communities and are a combination of new construction, waterfront homes, condominiums, and ranches. Many of the homes were built in the 1940’s when Richmond’s population boomed and housing here was in demand. There is one BART station in Richmond and Marin is about a 10 minute drive across the Richmond Bridge. Hilltop Mall offers shoppers a wide variety of shopping endulgences and along San Pablo you will find many great restaurants of all ethnicities. My FAVORITE carniceria is located on 23rd Avenue in Richmond and carries some of the tastiest carne asada around. Be sure to check out the City of Richmond’s July 3rd fireworks extravaganza each year.